​Did MLB.com just give away one of the most anticipated decisions of the offseason? 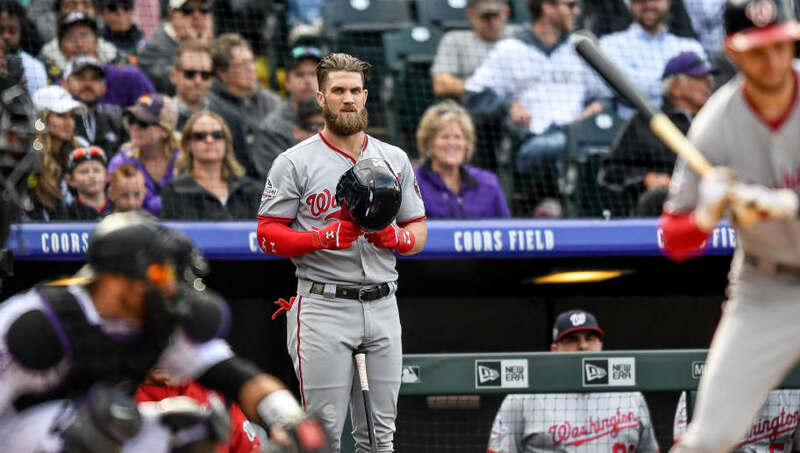 Bryce Harper to the ​Phillies rumors have been swirling for some time now, and have picked up even more steam with the two sides planning to meet face to face in Las Vegas this weekend. USA Today's Bob Nightengale famously reported earlier this offseason to "bank on the Phillies signing Harper" and even doubled down on Thursday's 'High Hopes' podcast, saying that ​Harper to Philadelphia is more probable than ever. Matt Rappa of Sports Talk Philly did some digging on MLB.com and found something interesting regarding the HTML of Harper's biography/statistics page. He found eight instances of the term "Phillies" in the code, including "Philadelphia Phillies" and "Active Roster" with a link that redirects to a blank, dark page. Rappa searched other players' bio's HTML code to see if it was merely a fluke, but he only found one player bio that contained the same string of code "Philadelphia%20Phillies%3A%20Roster%3A%20Active%20Roster" that Harper's did: current Philly slugger Rhys Hoskins. Could it all be a coincidence? Perhaps. But, what is Wikipedia trying to tell us as well? Who knows if these clues hold any water, but they're certainly intriguing nonetheless. And all the clues seem to point in one direction: It continues to appear more and more likely that Harper will be donning a Phillies' uniform when ​Opening Day arrives.